Ansh Elements is a plugin that use extensive elements for Elementor live page builder, allowing to build different kinds of content and section with easiness and efficiency. 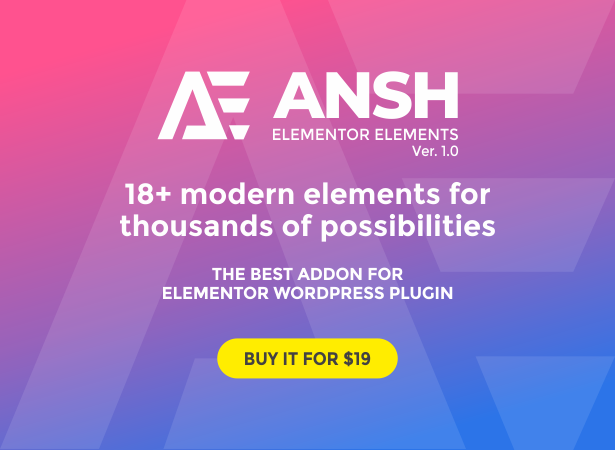 Using Ansh Elements Plugin, You can add various custom elements to build your website’s page layout, containing additional elements, which are not included in the Elementor page builder elements bundle. 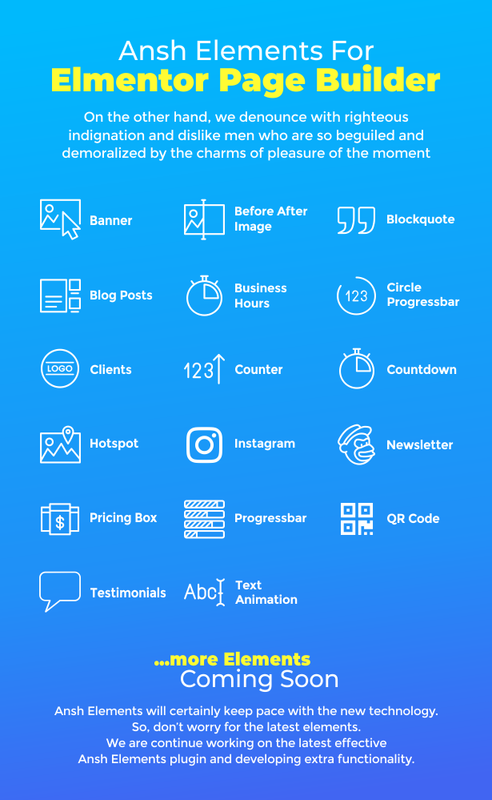 Ansh Elements, extend Your content with 18+ diverse elements, devised especially to add Banner, Image compare, Pricing box, Countdown timer, Progress bar, Testimonial, Text Rotator(animation), Instagram and many more elements to build Your website’s pages. 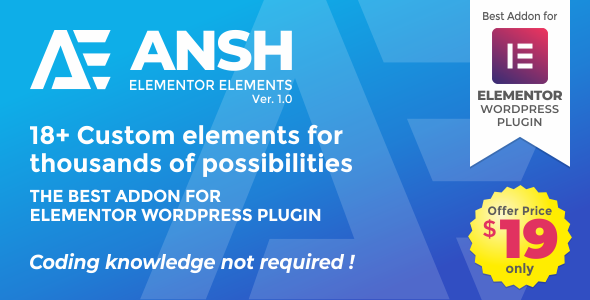 Note: Ansh Elements Plugin is compliant with PHP 7.x and WordPress 4.9.x, and has full compatibility with the latest Elementor versions. The plugin has basic RTL support.